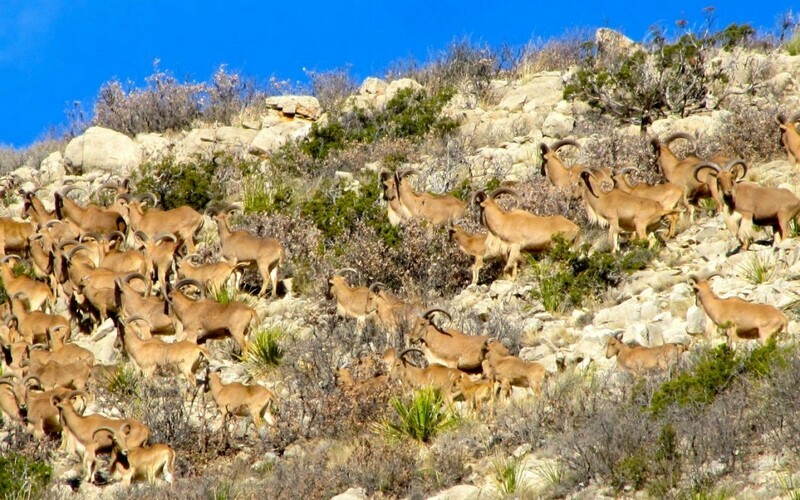 I was out scouting for aoudad when I ran across this huge aoudad herd. Unfortunately I didn’t have a hunter with me, so I grabbed my spotting scope & Iphone and started videoing. I hunted with Wes in 2016 and took an awesome aoudad that placed # 48 of the top 500 in SCI. Wes is a true professional and a very likeable guide. Thanks Wes for a great hunt. Thanks Dale! I really enjoyed hunting with y’all & congrats on a great sheep!